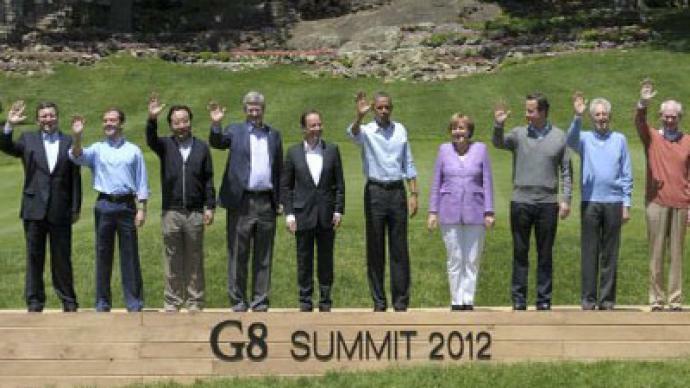 The annual G8 summit is over, with no tangible result in saving Europe from financial crisis. Focused on debt-torn Greece, the world’s most powerful economies expressed support to Athens staying in eurozone despite a backup plan of its exit. 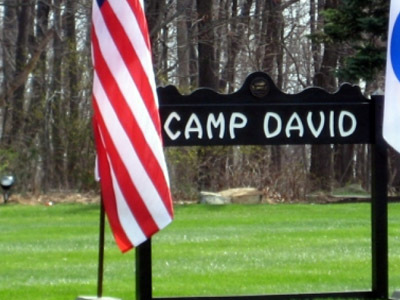 ­The American president’s residence at Camp David was invaded by Europeans over the weekend, or at least it seemed that way, with almost all G8 talk touching on the eurozone. The economic catastrophe of Greece dominated the G8 gathering, amid fears the country may be headed for a chaotic and unprecedented exit from the single currency bloc. However, some believe that talks behind closed doors suggested a different agenda for the beleaguered nation. “Practically every financial analyst thinks that Greece will leave. It has to be an orderly withdrawal from the euro. Anything else would be a disaster,” Martin McCauley, senior lecturer at the university of London, explained to RT. The official eurozone mantra says everything should be done to help Athens stay in euro. Once again this united stance was recorded in the final declaration as the Camp David Summit wrapped up. Some believe the smiles and handshakes at the G8 summit are just damage control. “I think it's just trying to put up a pretty face on it, this ‘hopetimism’, so when the markets open Monday they can have some good news report,” independent journalist Charlie McGrath, the founder of Wide Awake News, told RT. The journalist has been even more categorical in evaluating the results of the summit. He said the world leaders could not achieve anything other than “absolutely nothing” in solving Europe's financial crisis. It appears there is a plan already in place that intends Greece be cut loose and leave the eurozone. Officials in Brussels have a backup just in case and Germany has been hinting a referendum on a euro exit could be Greece’s best bet. McGrath recalled that a day before this G8 summit the former head of the European Central Bank (ECB), Jean-Claude Trichet, announced a plan that involves declaring countries bankrupt within Europe, ceding their sovereignty and giving the power to Brussels to implement their financial governance. “This has been announced by the ECB, by these technocrats in Europe and as well as the United States for quite some time which is we need this kind of global financial governance in order to fix the problem,” the journalist told RT. But International analyst Adrian Salbuchi told RT that the summit participants, especially the US, were not really looking into the European financial crisis. He claims they are turning a blind eye to the unfolding crisis as the single currency and the US dollar are facing a controlled demise. “The global power elites seem to feel they are ready to introduce a global currency, something which might be called a global dollar. If this is the case, we will see how easily they will trigger the demise of the US dollar through hyperinflation and the demise of the euro through splitting it up. And right now the elites are just buying more time,” he added. ­Ahead of the summit the most discussed topic in the Western media was probably the decision by Russian President Vladimir Putin not to go to Camp David. There has been much speculation as to why Putin skipped this G8, but very little based on logic. Officially, Putin refused to come on the basis that he is busy forming a new cabinet. 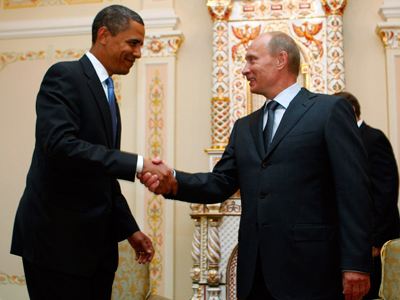 Martin McCauley shared his own explanation of Russian president’s absence. 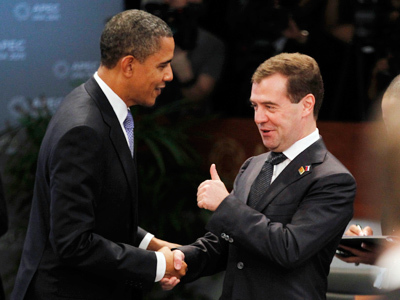 That is why Russia sees this summit as a stop on the way to June’s G20 where Putin and Obama will meet for talks. But this is definitely not the case for Obama who is running for reelection this year and simply cannot afford to let the eurozone’s fallout worsen further the US economy with its $15.7 trillion of debt. 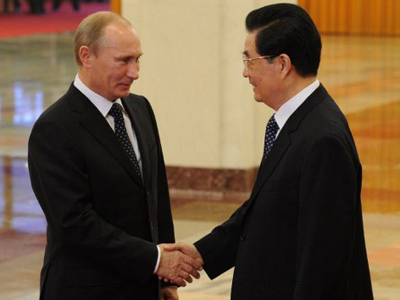 Traditionally, the G20 focuses on a wider range of issues than the G8. This explains why countries like Russia and China seem to have greater expectations from the broader format, especially when it comes to the unending financial turmoil and making sure all global issues make it into discussion. One way or another in return for President Vladimir Putin not attending the G8 summit, the American president announced he will not visit a major summit in Russia in September. 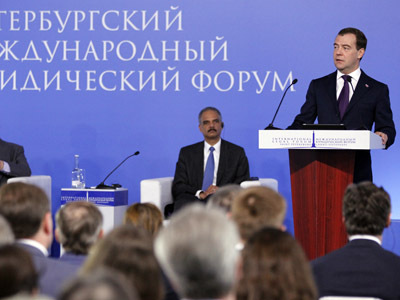 Russian authorities spread a word that they knew long ago about Obama's absence from Asia-Pacific Economic Cooperation summit in Russia's Vladivistok. It is believed that Obama will have to attend a Democrat assembly that will promote him as the only presidential candidate. But the "visit exchange" could not remain unnoticed. “We skip talking about pressing issues in Iran, in Syria, in the Middle East and in North Africa. And Russia keeps saying: you could start a war by putting your [ABM] missiles this close to our country,” McGrath said, emphasizing that the economic crisis could turn into a military one. “It seems like the relations between Russia and the US are heading towards more confrontational relationship,” Charlie McGrath concluded. Watch full interview with independent journalist Charlie McGrath.